FreshPax CR oxygen absorber packets are part of our MAPLOX™ Program, which provides a low-cost, low-oxygen packaging system that maintains refrigerated meat in pristine condition for up to 21 days when packaged in a low-oxygen environment under ideal conditions*. FreshPax CR provides your customers with fresh and visually appealing beef, pork, lamb, veal, and value-added meat products. FreshPax are expert-designed to extend the saleable life of fresh red meat at retail and realize savings from central location packaging. FreshPax do not require activation, creating minimal start-up investment. 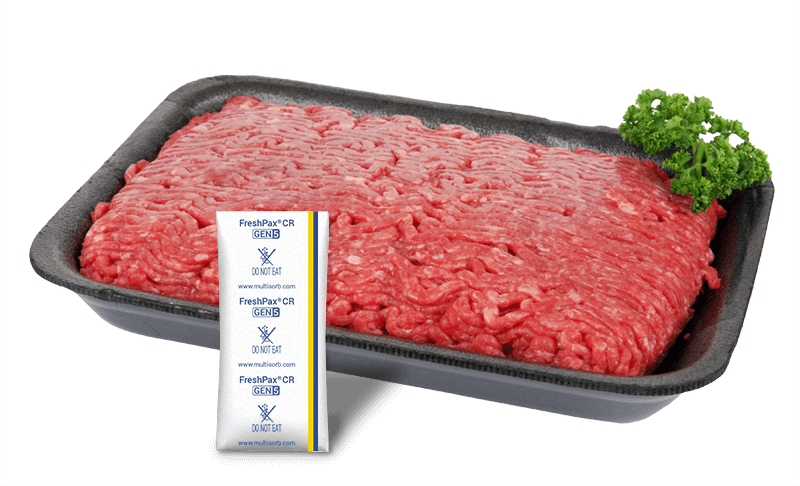 Optimum-sized FreshPax CR Packets are available for all of your case-ready meat applications. 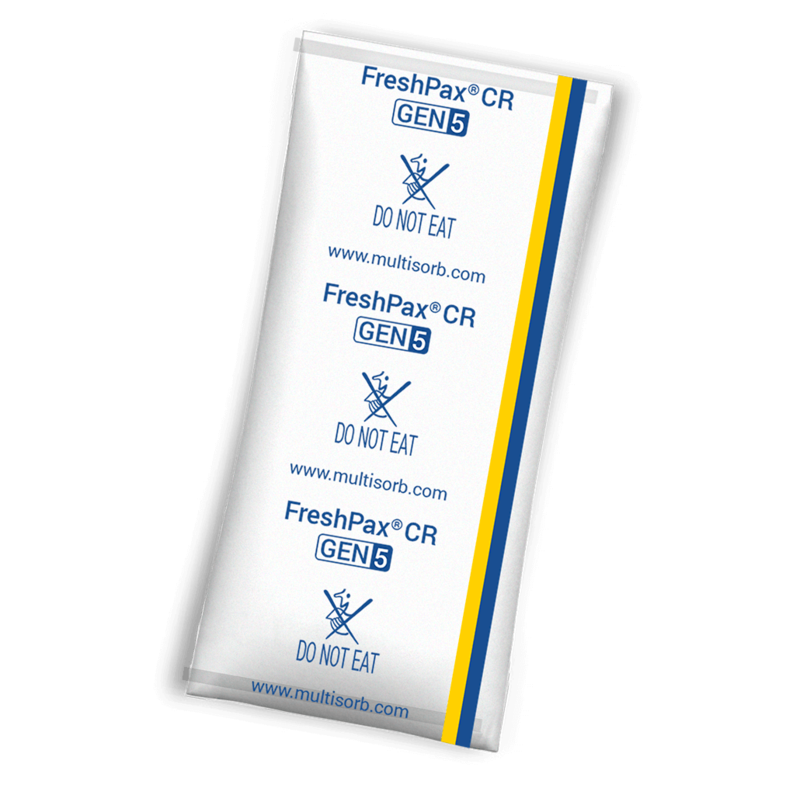 FreshPax CR oxygen absorber packets are easily inserted by hand or spooled FreshPax CR packets can be automatically dispensed to quickly integrate into most production lines. The best way to gain the advantages of case-ready meat is to use low-oxygen modified atmosphere packaging combined with the removal of residual oxygen. 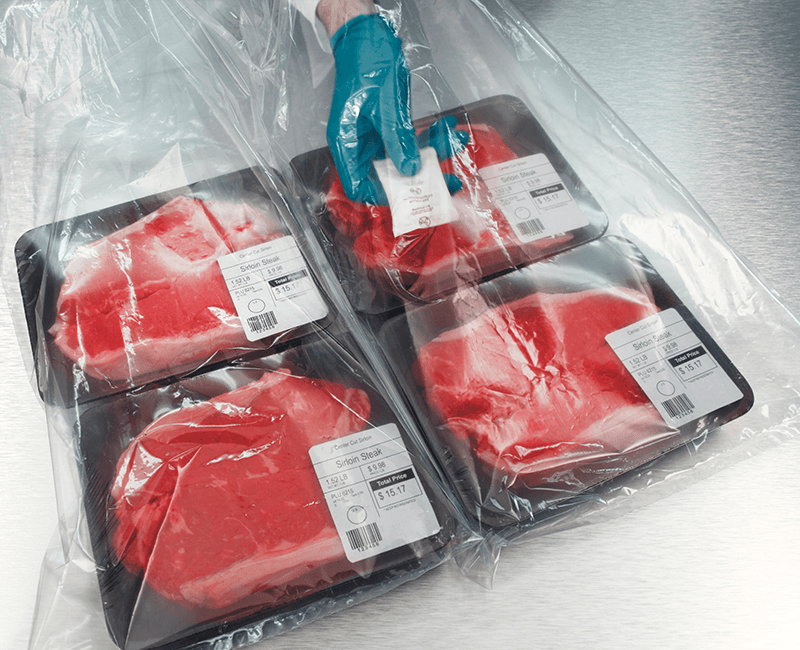 After placing overwrapped fresh meat trays into a master bag, vacuum and back-flush systems remove air from the master bag and replace it with a gas mixture containing very low oxygen levels. With a FreshPax CR Oxygen Absorbing Packet inserted into the bag, the bag is hermetically sealed. The FreshPax CR Packet absorbs the remaining oxygen in the master bag and oxygen that permeates from the primary meat package. Once the master bag is opened, there is a natural rebloom to the protein. FreshPax oxygen absorbers have been proven to protect packaged consumables against spoilage, mold growth, color change, loss of nutritive values, and loss of quality.